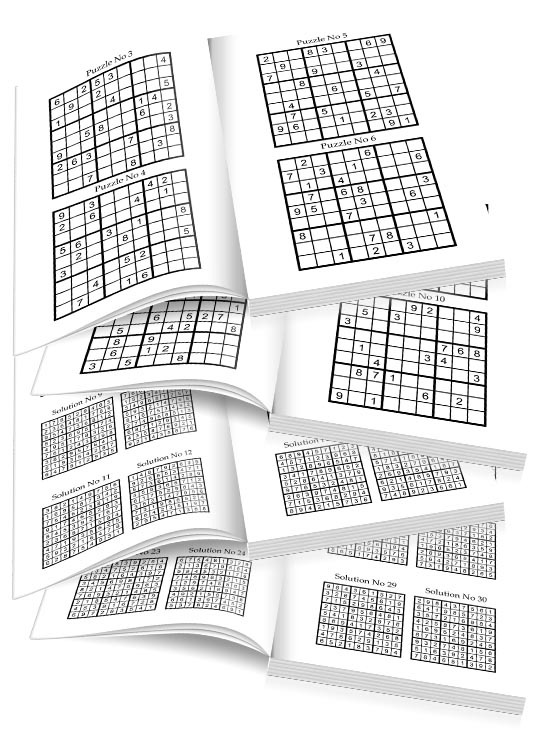 Sudoku puzzle book for you! If you are new to the world of puzzle book publishing then getting your first book ready for sale can be daunting. However, here at WMC Publishing we have more than a little experience in this field, with literally hundreds of different puzzle books under our belt for our own and other authors. For example, take a look at the many different styles of puzzle book that we have published for two of our own “in house” authors – Kenneth Quinlan and Peter Minnick. Our Done for you Sudoku book service will provide you with a print-ready PDF book file ready for you to upload directly to Createspace without the need for any further work. You simply decide what size book you want, as well as the level of difficulty required, from the choices shown below. Then, you provide some basic details, such as the title you wish to use for your book, the author name and any other front-end text you want (copyright notice, dedication, introduction etc.) and that is it. 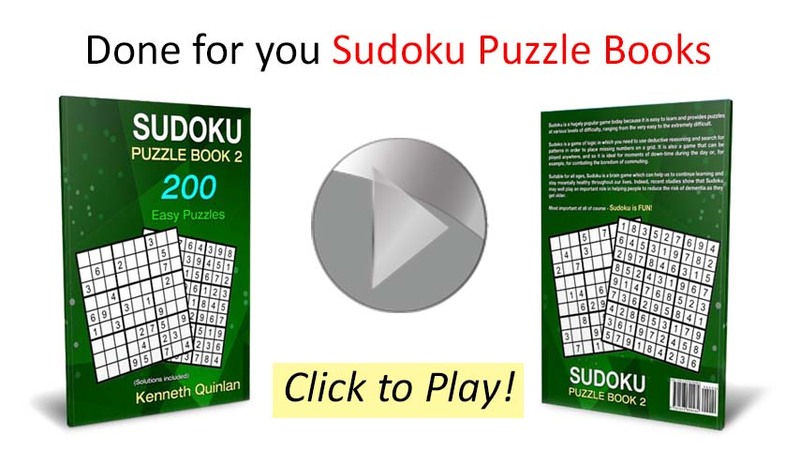 We will then do the rest for you and provide you with your own unique Sudoku puzzle book, including of course generating the puzzles and solutions for your book. With this service you also have the option to add your own cover file, or have us design the cover for you. This allows you the flexibility of creating your own cover file, or using your own cover designer if you wish. Please read through the details below and, if you have any questions, contact us and we will get back to you within 24 hours. Includes 100 puzzles with solutions. 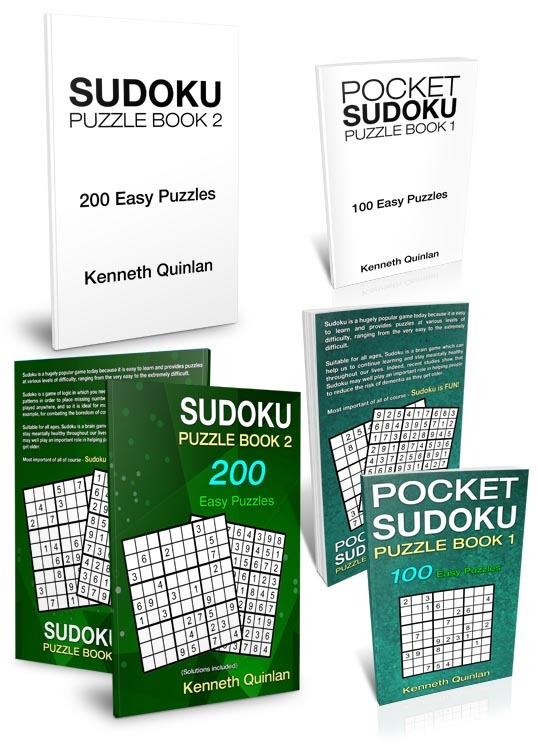 Includes 200 puzzles with solutions. Once you have completed the order process you will be asked to complete a form which will allow you to provide us with customization details for your book. For example, you can choose your own title, sub-title and author name, add your own copyright notice, write an introduction and much more to put your own stamp on each book. 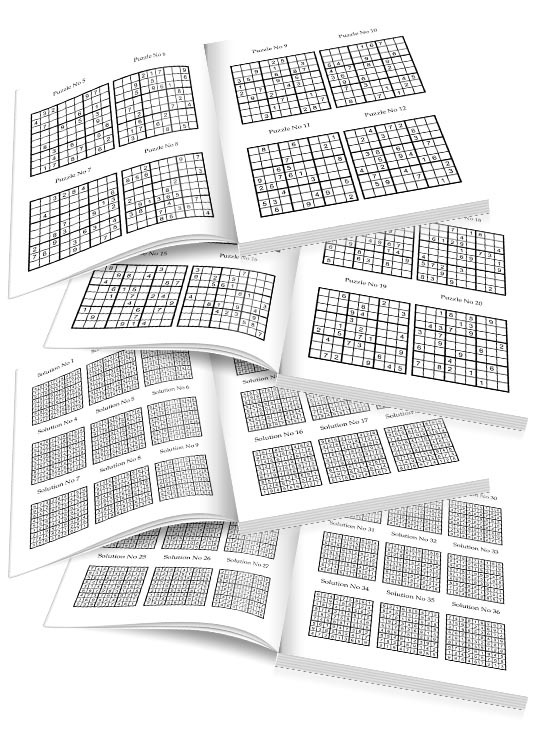 We will then generate a unique set of puzzles for you (with solutions) and compile your print-ready book interior PDF to meet printing requirements. If you would like us to create a print-ready cover file for you this can be added to your order and you will again have the opportunity to let us know what sort of cover you are looking for. We have added cover design as an optional extra as we recognize that you may like to create their own cover, or already have a cover designer who you are happy to work with.